Ticketholders must arrive by MIDNIGHT (12:00am) for guaranteed entry. Guests are required to bring a printed copy of the email confirmation with scannable ticket, valid photo I.D., and the credit card that was used to purchase the tickets. All patrons must be at least 21 years of age with a valid government issued ID to be provided at the door. Copies or paper identification will not be accepted. Non-United States isued identification must be accompanied with valid passport to be provided at the door to gain entry into the venue. Surrender Nightclub Dress Attire for Guests Strictly Enforced. Proper nightclub attire required. No shorts, flip flops, tank tops, chains, baggy apparel, work boots, hats, athletic footwear, and/or tattoo or MMA inspired clothing. Any disregard of above disclaimer will invalidate ticket. 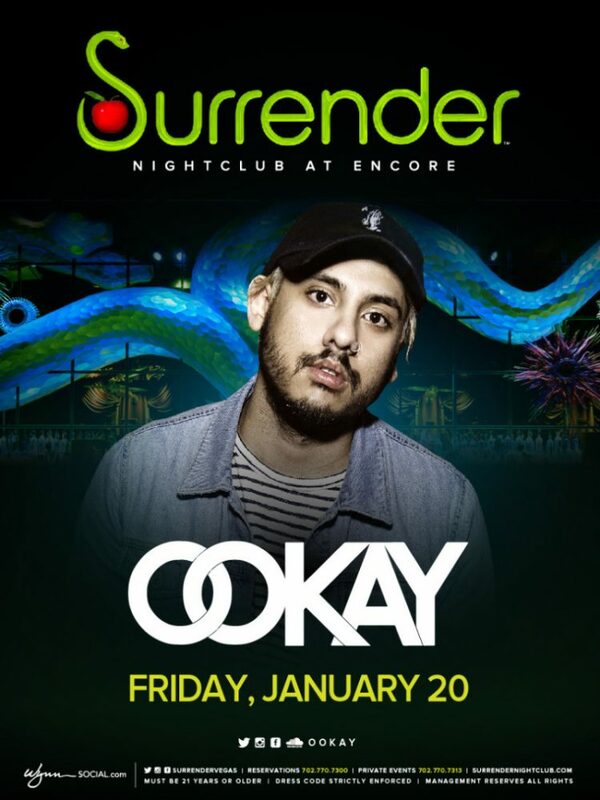 Surrender Nightclub is not responsible for talent cancellation. Tickets are non-refundable. Surrender Nightclub Dress Attire for Guests Strictly Enforced. Proper nightclub attire required.